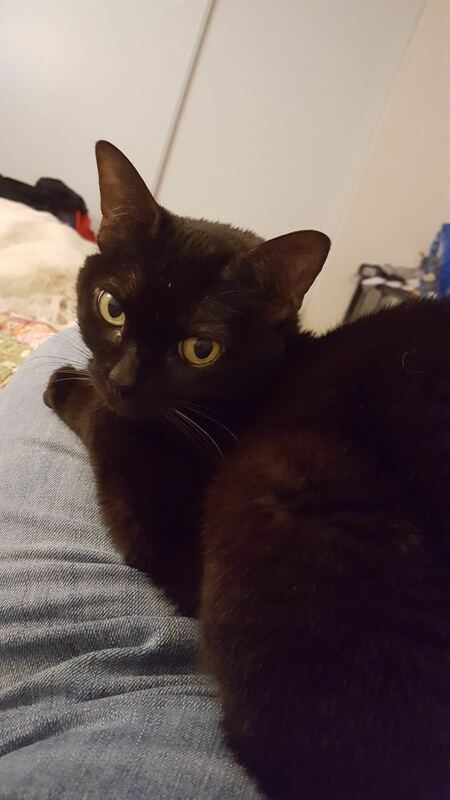 I have a 10 year old petite, 6 lb black cat named Jenga. I adopted her 8 years ago from a no kill shelter in Florida. Unfortunately the dynamics in my home have changed and I live with my girlfriend who has a service dog. Jenga and the dog do not get along and Jenga would prefer to be an only animal. She was a sweet, cuddle cat before living with the dog.I’m seeking a loving, quiet forever home for her. I know that if she wasn’t in the environment that she’s in now that she’d be back to her old self; a sweet lap cat who love to purr and loves her people. She is spayed and microchipped and FIV/FELV negative. Please feel free to email me at splendora97@yahoo.com back or call/text me at 813-295-1452.